The Virginia Disability Determination Services (DDS), a division within DARS, works in partnership with the Social Security Administration and the Virginia Department of Social Services to make decisions on disability claims for benefits under the Social Security Disability Insurance, Supplemental Security Income, and Medicaid Programs. Following federal regulations, DDS commits to making accurate and prompt disability decisions based on medical and psychological evidence. DDS also considers school information and vocational criteria, as appropriate. MISSION: DDS is committed to making accurate, prompt decisions on disability claims under the Disability Insurance Benefits (Title II), Supplemental Security Income (Title XVI), and Medicaid (Title XIX) Programs. 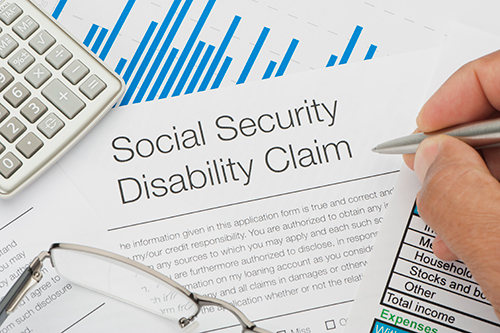 Social Security Disability Insurance (SSDI): This program requires a person with a disability to have worked for a substantial period in employment covered by Social Security. Beginning at age 18, a dependent, adult child of a worker who is retired, disabled or deceased, may be eligible for benefits if the child became permanently disabled before age 22. Benefits also may be paid to a widow, widower, or surviving divorced spouse. SSDI is funded through the Social Security Trust Fund. Supplemental Security Income (SSI): This federally funded program is based on financial need. It is not necessary for persons with disabilities to have worked under Social Security. Basic medical criteria for eligibility are the same for both SSI and SSDI. Recipients of benefits under both programs also may be eligible for Medicaid or Medicare benefits. Medicaid: Medicaid is a jointly funded, Federal-State health insurance program for low-income and needy people. It covers children, the aged, blind, and/or disabled and other people who are eligible to receive federally assisted income maintenance payments. A separate application for Medicaid must be filed through the Virginia Department of Social Services (DSS). For more information about SSA, visit www.ssa.gov. For more information about the Virginia Department of Social Services, visit www.dss.virginia.gov. DISABILITY DECISIONS: A team comprising a staff physician or clinical psychologist and a professionally trained analyst makes the disability decision. Applications for Social Security disability benefits may be completed online at Apply for Benefits. The public may also call SSA’s toll-free number, (800) 772-1213, to schedule an appointment in person or by phone. People who are deaf or hard of hearing may call the toll-free TTY number, (800) 325-0778, weekdays between 7 a.m. and 7 p.m. Find the most conveniently located Social Security office at the Social Security Office Locator. To apply for Medicaid, visit Virginia's Medical Assistance Programs. FRAUD PREVENTION: The Virginia DDS works in conjunction with SSA’s Office of the Inspector General (OIG) through a Cooperative Disability Investigations (CDI) unit to prevent fraud in the disability program. The CDI program was established in 1998 to effectively pool resources and expertise to prevent fraud in SSA’s disability programs. The CDI program’s primary mission is to obtain evidence that can resolve questions of fraud before benefits are ever paid. Reports from CDI Units can also be used to cease benefits of in-payment beneficiaries during the continuing disability review (CDR) process. For more information about CDI, OIG, or to report fraud, waste, or abuse, visit http://oig.ssa.gov/ or contact Cheryl McCall at the number listed below. SOAR IN VIRGINIA: SSI/SSDI Outreach, Access, and Recovery (SOAR) is a national program designed to increase access to the disability income benefits administered by the Social Security Administration for eligible adults and children who are experiencing or at risk of homelessness and have a serious mental illness, medical impairment or a co-occurring substance use disorder. The SOAR effort in Virginia is an initiative designed to increase access to SSI/SSDI. For more information visit the Virginia SOAR website at https://soarworks.prainc.com/states/virginia. SCHOOL EVIDENCE: For more information about the disability process, visit Childhood Disability for School Professionals. More information is also available from the Social Security Administration's Benefits Planner. INFORMATION FOR REPRESENTATIVES: Authorized representatives must provide SSA an Appointment of Representative form (SSA 1696), signed by the individual filing for benefits. This form can be found online under the Appointment Of Representative – Form SSA-1696. The DDS cannot accept faxed lists of applicant names, provide routine status on pending claims, or respond to telephone inquiries. The DDS will provide an electronic report of pending claims that are associated with authorized representatives at our agency. To obtain this report, representatives must complete a Representative Registration Form. Fax completed registration forms to the DDS Administrative Office at (804) 662-9041. Representatives can learn more about the reporting process through the Representative Report Fact Sheet. ELECTRONIC RECORDS EXPRESS (ERE): To improve the efficiency of the disability case processing system, DDS promotes the use of electronic submission of medical and psychological evidence. Evidence providers can submit records by toll-free fax or uploading records through Social Security's ERE Web site. The evidence is immediately available to the DDS. For more information visit,https://www.ssa.gov/ere/. CONSULTATIVE EVALUATION: When a decision absolutely cannot be made based on evidence from treating sources, DDS authorizes and funds a consultative evaluation. Community based physicians, psychologists and facilities supply these services. For more information on becoming a consultative examination provider, please contact any Professional Relations Officer listed below. Many other resources in the state and community are important as well. The Virginia Disability Determination Services extends its appreciation to and welcomes the interest and concerns of all those who serve persons with disabilities in Virginia.